The Fiore family was enjoying a beautiful summer night and decided to fire up the grill and have burgers for dinner. But before they knew it, things took a serious turn for the worse. 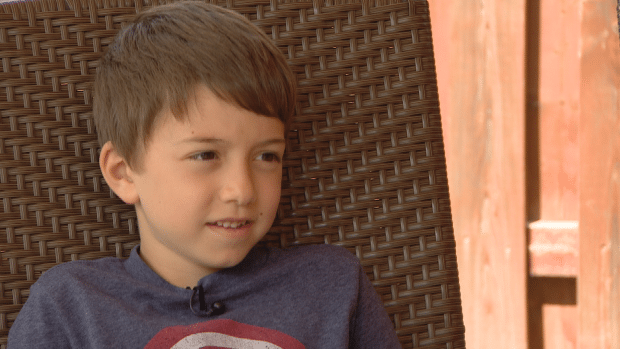 Little 6-year-old Anthony Fiore took one bite of his burger and immediately fell ill.
“It felt like a needle,” the boy told the Canadian Broadcasting Situation. 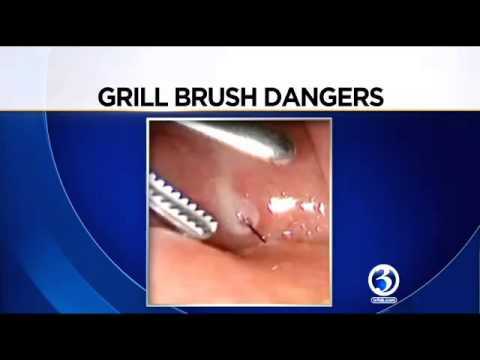 Anthony was rushed to the hospital where doctors discovered that he had swallowed a tiny metal wire bristle from a barbecue grill cleaning brush. “We knew something was wrong and he was in extreme pain because he was crying.From the time we had dinner to the time we had surgery, it was about 12 hours later, because our journey started at the local hospital, and then we were transported to SickKids,” Anthony’s mother, Nadia said. Doctors don’t exactly have a surefire way of removing the thin wires from people’s throats when swallowed but surgeons at SickKids were able to dislodge it. After that, doctors just had to make sure Anthony didn’t develop a throat infection from the bacteria on the bristle. Apparently, surgeons have encountered lots of patients who need these bristles removed from their throats, a situation which has the potential to be fatal. 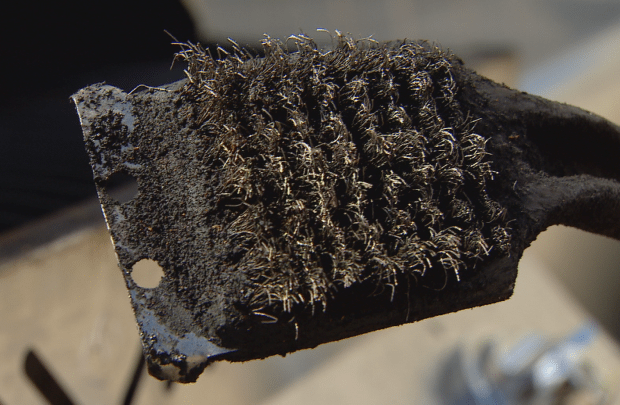 Duff Dixon, vice-president of development at Barbecue World says you should replace your brushes as soon as they appear matted and use a brush with wires that are fastened around a metal backing rather than wooden or plastic brushes, as those may be less secure. “These stories have been happening as long as the brushes have been around,” said Dixon. An even safer method is to avoid using these brushes all together. An alternative method for cleaning your grill is lighting it and letting it sit with the lid closed. This will loosen the gunk in your barbecue. You can use a scrunched up piece of aluminum foil to scrub it away. Just be careful not to burn yourself! Nadia says she came public with her son’s incident so that other families could be aware of this issue and avoid it. “I hope to have these brushes removed from the shelves, have them banned,” she said. The Fiore’s haven’t barbecued anything since the incident and Nadia says poor Anthony is scared to eat anything off the grill now. You can learn about others who suffered from this serious hazard in the video below.